*DISCLOSURE* Thank you to Penguin Random House for providing product samples in order to facilitate this post. All thoughts are strictly my own. When Jack and Sydney, a young couple just starting out, first move into their new home, they’re thrilled. Sure, the house is a bit old-fashioned and quirky, and all of the previous owner’s belongings—old furniture, piles of records, and birds mounted on the walls—were sold to them with the house. But they got an amazing deal, and a bigger home than they could have dreamed of within their budget. It isn’t until Jack finds a box of unsettling items in the attic that he starts to question if it was a lucky coincidence after all. As the story progresses, the disturbing details of a fatal crime are revealed—as are the complexities of the protagonists who are haunted by secrets of the past and a neighborhood that is nothing as it seems. 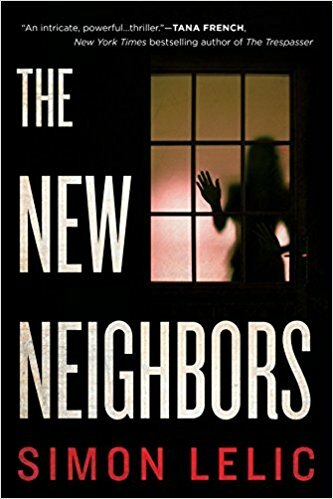 Told through the compelling and conversational voices of Jack and Sydney in alternating journal entries, THE NEW NEIGHBORS is an artfully crafted tale of truth versus deception and reality versus expectation. If you are a fan of creepy thrillers, this book will not disappoint! 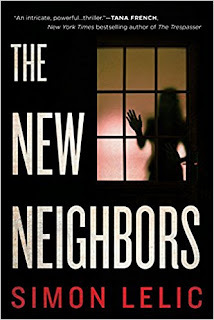 The New Neighbors is a twisted, terrifying tale that grips the reader from the very beginning. This novel is a fast-paced, thrill-a-minute, page turner that might just keep you up at night! I love that it's written in the he said/she said style...simply duplicitous! I highly recommend checking out The New Neighbors!